Accolades abound for Ojai resident Virginia Kron. 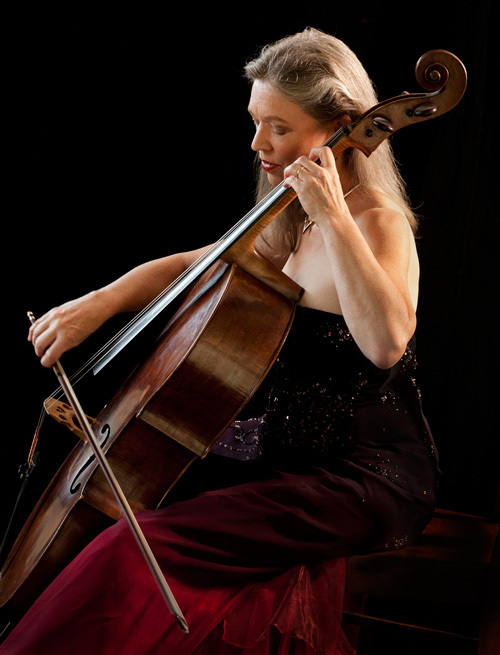 She is called “a remarkable musician [with a] distinctive cello style.” Virginia received her Bachelor’s in Music degree from University of Wisconsin, Madison in 1977; Master’s in Music from USC in 1979. She has studied with international superstars, recorded with the Czech National Symphony, performed with the New West Symphony in the premier of “Concerto for Cello and Chamber Orchestra” by John Biggs; and in festivals nationwide. Virginia knew early on that the cello would be her life. Classically trained, she finds herself drawn to the music of our time and finds herself responding to it as powerfully as to the beloved classics. Virginia’s vivacious demeanor and superb musicianship have endeared her to audiences and critics alike. Virginia Kron’s in-depth oral history and documentation took place in 2010, co-sponsored by Dr. Norma Beck and John Brant Wealth Advisors, John & Cherie Brant. The FOTM Archive contains extensive information about this artist.